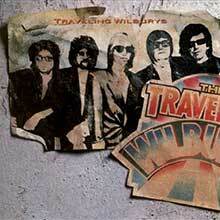 There never was a supergroup more super than the Traveling Wilburys. They had Jeff Lynne, the leader of ELO; they had Roy Orbison, the best pop singer of the '60s; they had Tom Petty, the best roots rocker this side of Bruce Springsteen; they had a Beatle and Bob Dylan, for crying out loud! It's impossible to picture a supergroup with a stronger pedigree than that (all that's missing is a Rolling Stone), but in another sense, it's hard to call the Wilburys a true supergroup, since they arrived nearly two decades after the all-star craze of the '70s peaked, and they never had the self-important air of nearly all the other supergroups. That, of course, was the key to their charm: they were a group of friends who fell together easily, almost effortlessly, to record a B-side for a single for George Harrison; they had such a good time they stuck around to record a full album, which became a hit upon its 1988 release. The Traveling Wilburys was big enough to convince the group to record a second album, cheerfully and incongruously titled Vol. 3, two years later despite the death of Orbison. Like most sequels, the second didn't live up to expectations, and by the time it and its predecessor drifted out of print in the mid-'90s, with the rights reverting to Harrison, nobody much noticed. A few years later, though, it soon became apparent that the Wilburys' records -- mainly, the debut, widely beloved thanks to its two hits, "Handle with Care" and "End of the Line" -- were out of print, and they soon became valuable items as the Harrison estate dragged its heels on a reissue. Finally, the two albums were bundled up as a two-CD set simply called The Traveling Wilburys and reissued with a DVD/digital download containing a documentary and all the videos in the summer of 2007. The whole shebang was reissued as The Traveling Wilburys Collection in the summer of 2016. 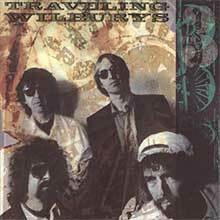 There never was a supergroup more super than the Traveling Wilburys. They had Jeff Lynne, the leader of ELO; they had Roy Orbison, the best pop singer of the '60s; they had Tom Petty, the best roots rocker this side of Bruce Springsteen; they had a Beatle and Bob Dylan, for crying out loud! It's impossible to picture a supergroup with a stronger pedigree than that (all that's missing is a Rolling Stone), but in another sense it's hard to call the Wilburys a true supergroup, since they arrived nearly two decades after the all-star craze of the '70s peaked, and they never had the self-important air of nearly all the other supergroups. That, of course, was the key to their charm: they were a group of friends that fell together easily, almost effortlessly, to record a B-side for a single for George Harrison, then had such a good time they stuck around to record a full album, which became a hit upon its 1988 release. The Traveling Wilburys was big enough to convince the group to record a second album, cheerfully and incongruously titled Vol. 3, two years later despite the death of Orbison. Like most sequels, the second didn't live up to expectations, and by the time it and its predecessor drifted out of print in the mid-'90s, with the rights reverting to Harrison, nobody much noticed. A few years later, though, it soon became apparent that the Wilburys records -- mainly, the debut, widely beloved thanks to its two hits, "Handle With Care" and "End of the Line" -- were out of print, and they soon became valuable items as the Harrison estate dragged its heels on a reissue. 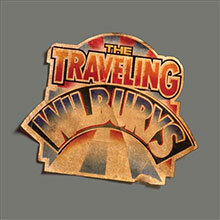 Finally, the two albums were bundled up as a two-CD set simply called The Traveling Wilburys and reissued with a DVD containing a documentary and all the videos in the summer of 2007 (there is also a deluxe edition containing a longer, lavish booklet).Looking back via The Traveling Wilburys, the group's success seems all the more remarkable because the first album is surely, even proudly, not a major statement. Even under the direction of Lynne, who seems incapable of not polishing a record till it gleams, it's loose and funny, even goofy. It's clearly a lark, which makes the offhanded, casual virtuosity of some of the songs all the more affecting, particularly the two big hits, which are sunny and warm, partially because they wryly acknowledge the mileage on these rock & roll veterans. "Handle With Care" and "End of the Line" are the two masterworks here, although Roy's showcase, "Not Alone Anymore" -- more grand and moving than anything on the Lynne-produced Mystery Girl -- comes close in the stature, but its stylized melodrama is a ringer here: it, along with Dylan's offhand heartbreak tune "Congratulations," is the only slow thing here, and the rest of the album just overspills with good vibes, whether it's Tom Petty's lite reggae of "Last Night," Jeff Lynne's excellent Jerry Lee Lewis update "Rattled," or Dylan's very funny "Dirty World," which is only slightly overshadowed by his very, very funny Springsteen swipe "Tweeter and the Monkey Man." These high times keep The Traveling Wilburys fresh and fun years later, after Lynne's production becomes an emblem of the time instead of transcending it. (The album contains two bonus tracks in this reissue, the excellent Harrison song "Maxine" -- a low-key waltz that should have made the cut -- and "Like a Ship," a folky dirge that builds into ELO-esque pop which is pretty good but doesn't have the effervescence of the rest. )The Traveling Wilburys built upon Harrison's comeback with Cloud Nine and helped revitalize everybody else's career, setting the stage for Dylan's 1989 comeback with Oh Mercy, Petty's first solo album, Full Moon Fever, produced by Lynne (sounding and feeling strikingly similar to this lark), and Orbison's Mystery Girl, which was released posthumously. Given the success of this record and how it boosted the creativity of the rest of the five, it's somewhat a shock that the second effort falls a little flat. In retrospect, Vol. 3 plays a little bit better than it did at the time -- it's the kind of thing to appreciate more in retrospect, since you'll never get another album like it -- but it still labors mightily to recapture what came so effortlessly the first time around, a problem that can't merely be chalked up to the absence of Orbison (who after all, didn't write much on the first and only took lead on one song). Where the humor flowed naturally and absurdly throughout the debut, it feels strained on Vol. 3 -- nowhere more so than on "Wilbury Twist," where Petty implores you to put your underwear on your head and get up and dance, the epitome of forced hilarity -- and the production is too polished and punchy to give it a joie de vivre similar to the debut. That polish is an indication that Lynne and Petty dominate this record, which only makes sense because they made it between Full Moon Fever and Into the Great Wide Open, but it's striking that this sounds like more like their work, even when Dylan takes the lead on "Inside Out" or the doo wop-styled "7 Deadly Sins." Both of these are quite good songs and they have a few other companions here, like the quite wonderful country stomp "Poor House," but they're songs more notable for their craft than their impact -- nothing is as memorable as the throwaways on the debut -- and when combined with the precise production, it takes a bit for them to sink in. But give the record some time, and these subtle pleasures are discernible, even if they surely pale compared to the open-hearted fun of the debut. But when paired with the debut on this set, it's a worthy companion and helps support the notion that the Traveling Wilburys were a band that possesses a unique, almost innocent, charm that isn't diminished after all this time. The Traveling Wilburys built upon George Harrison's comeback with Cloud Nine and helped revitalize the other supergroup members' careers, setting the stage for Bob Dylan's 1989 comeback with Oh Mercy, Tom Petty's first solo album, Full Moon Fever, produced by Jeff Lynne (sounding and feeling strikingly similar to this lark), and Roy Orbison's Mystery Girl, which was released posthumously. Given the success of this record and how it boosted the creativity of the rest of the five, it's somewhat a shock that the second effort falls a little flat. In retrospect, Vol. 3 plays a little bit better than it did at the time -- it's the kind of thing to appreciate more in retrospect, since you'll never get another album like it -- but it still labors mightily to recapture what came so effortlessly the first time around, a problem that can't merely be chalked up to the absence of Orbison (who after all, didn't write much on the first and only took lead on one song). Where the humor flowed naturally and absurdly throughout the debut, it feels strained on Vol. 3 -- nowhere more so than on "Wilbury Twist," where Petty implores you to put your underwear on your head and get up and dance, the epitome of forced hilarity -- and the production is too polished and punchy to give it a joie de vivre similar to the debut. That polish is an indication that Lynne and Petty dominate this record, which only makes sense because they made it between Full Moon Fever and Into the Great Wide Open, but it's striking that this sounds like more like their work, even when Dylan takes the lead on "Inside Out" or the doo wop-styled "7 Deadly Sins." Both of these are quite good songs and they have a few other companions here, like the quite wonderful country stomp "Poor House," but they're songs more notable for their craft than their impact -- nothing is as memorable as the throwaways on the debut -- and when combined with the precise production, it takes a bit for them to sink in. But give the record some time, and these subtle pleasures are discernible, even if they surely pale compared to the open-hearted fun of the debut. But when paired with the debut on this set, it's a worthy companion and helps support the notion that the Traveling Wilburys were a band that possesses a unique, almost innocent, charm that isn't diminished after all this time.